To grow your business, you need to focus on sales and customer support. Administrative tasks don't add value. Let Merang make your administrative tasks easier. Get paid faster and accurately. Track your commission sales and receivables in real-time, ensuring that you get paid faster and accurately from customers or travel suppliers. Better control of your business. 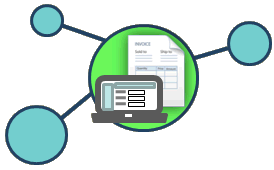 Agents can access, create and track their invoices from anywhere. Everything is maintained centrally, for better monitoring. Look professional. Customized invoices tailored for the travel industry. E-mail or PDF your invoices for a more professional look. Copyright (c). 2000 - 2019. All rights reserved. Merang TravelOffice is a service of Merang.com Travel Inc.